I never understood the origins of the phrase "floating on Cloud Nine". Floating on Cloud Nine is floating on an inflatable watermelon in one of Cavo Tagoo's infinity pools staring out over the Mediterranean with a never-empty cocktail glass in hand. With only 20 hours in Mykonos, we knew we only had time to tick off the best of the island so it was obvious that Cavo Tagoo - a private five-star sanctuary- needed to be on our itinerary. 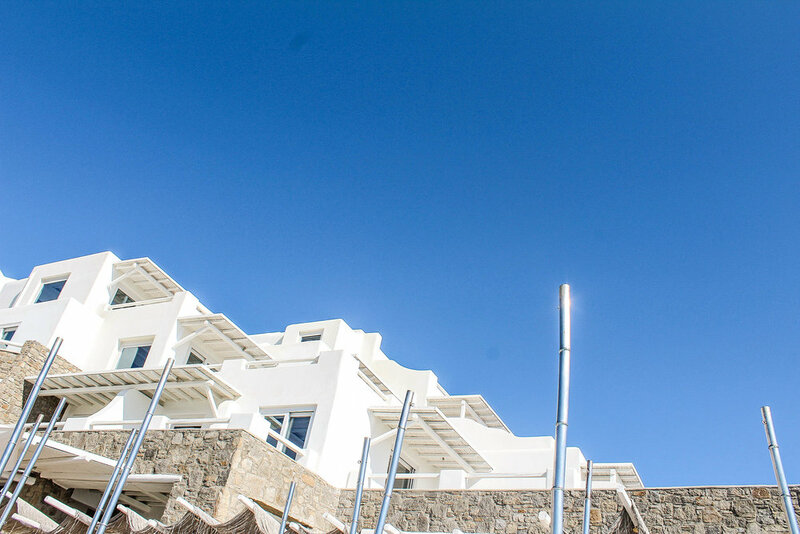 Thanks to the generosity of the team at Cavo Tagoo we got to see exactly why every blogger seems to call this hotel home when in Mykonos and why Cavo Tagoo boasts more Instagram followers than most of its insta-famous guests (345k!). Think a pristine resort designed in true Mykonos style (picture-perfect and dressed in all white), a location that feels so private and secluded yet is actually a stone's throw from the town centre, a pinch-yourself view of the Mediterranean that starts where the infinity pools end, and as many cocktails as your heart desires that have been served from a bar that doubles as an aquarium. Absolute bliss. 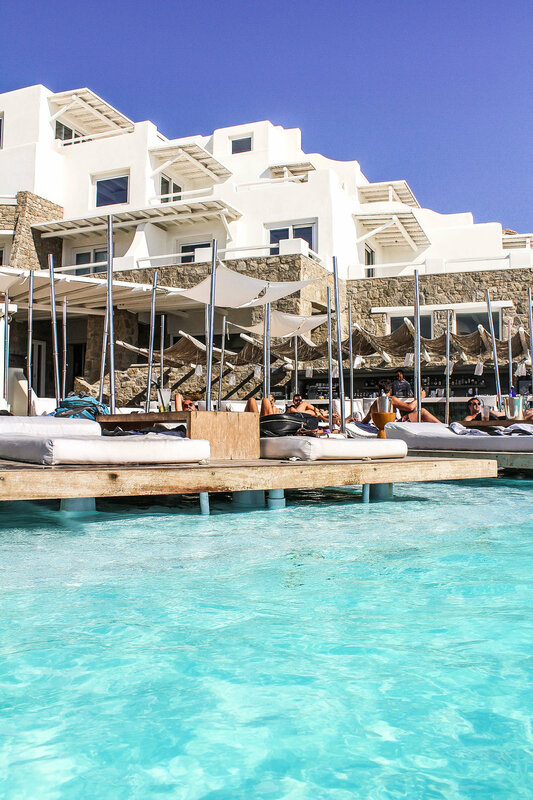 If you're looking to indulge in a little island luxury in Greece then there's no better place than at Cavo Tagoo - either in Mykonos, or at their Santorini location. 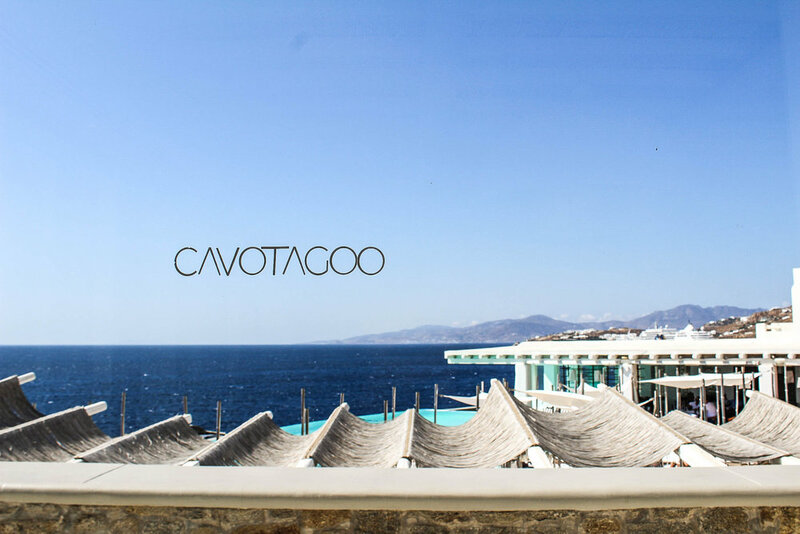 A big thank you to the team at Cavo Tagoo Mykonos for spoiling us - there was no better way or place to fast track getting us into holiday mode. P.S. YOU'RE NOT SEEING THINGS; THE BAR IS AN AQUARIUM.